“Golf is such a mental challenge, and as frustrating as it can be sometimes, it can definitely make you stronger. Playing some great courses in a setting like Ireland and Scotland will be pretty awesome, but it is also a great way to keep your mind sharp. You really have to think your way around and get the grips with the course and the difficulties it offers you. I am a pretty cerebral guy, so it is perfect to have that kind of activity in the offseason that keeps your brain ticking.” — Ben. 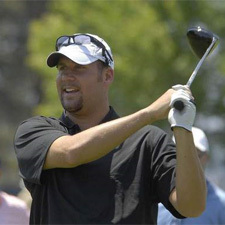 Ben Roethlisberger will prepare himself for the new NFL season by embarking upon an extraordinary golfing marathon he believes will sharpen his focus in advance of the 2012 campaign. The Pittsburgh Steelers quarterback is heading to Ireland and Scotland in June, where he will play some of the finest and most difficult courses in the world. But Roethlisberger insists the trip is not simply about recharging his batteries over the summer; it is designed to provide him with a mental challenge that will serve him well once football rolls around again. The K Club, just outside the Irish capital of Dublin, hosted the 2006 Ryder Cup, and St Andrews is renowned worldwide as the spiritual home of golf. Last season ended in disappointment for Roethlisberger and the Steelers as they suffered an overtime defeat to the Denver Broncos in the AFC wild-card game.